Flex Your Mental Muscle Without Breaking a Sweat! Developed with leading-edge video and audio technology, Passive Brain Fitness® is a new and innovative approach to optimizing your mental and emotional states in minutes. Meditation in Minutes is a new and innovative approach to meditation that is both newbie-friendly and suitable for even the most advanced meditators. Try meditation in minutes free. Save an instant 50% and receive SIX supper-bonuses when you enroll in our Meditation in Minutes Case Study program during the month of November! Limited spaces available. What Is Passive Brain Fitness®? Passive Brain Fitnes® is a brain optimization technology that delivers leading-edge light and sound frequencies in video format. 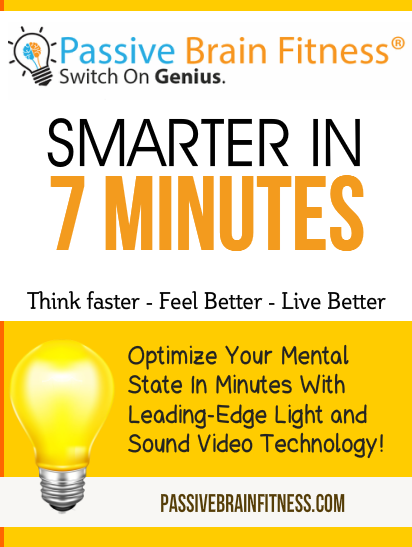 The typical Passive Brain Fitness® video is 7 minutes in length and can be used on any computer or mobile devices for quick and easy on-demand use. Passive Brain Fitness® leverages advanced frequency science, eye-movements and complex mathematical algorithms to fine-tune your mental and emotional intelligence based on your goals and desired outcomes. Who Is Passive Brain Fitness® For? Passive Brain Fitness® is for people that want more from life. It's for people that want to be more productive, creative and efficient. Passive Brain Fitness® is for people that want to tap their inner genius and push it to all new heights. Who Is Passive Brain Fitness® NOT For? Passive Brain Fitness® is not for everyone. Passive Brain Fitness® contains complex light and sound frequency stimulation and is not suitable for people who have risk factors for epilepsy and seizures. Click here to read our full Technology Disclaimer and Warnings. What Can Passive Brain Fitness® do for me? Passive Brain Fitness® is a brain-optimizing technology that is commonly used to improve logic and reasoning, creativity and problem-solving. Passive Brain Fitness® is also used to achieve deep meditative states, stress reduction and improve athletic performance. Passive Brain Fitness® is used worldwide by therapist, coaches, and healers to improve the effectiveness of their work. Most of our customers will use Passive Brain Fitness® videos as part of a self-care protocol to help remove blocks and reduce the negative impact of fears, past traumas and negative triggers. 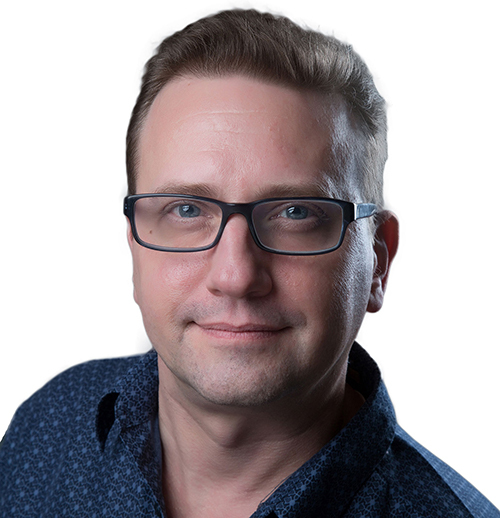 Jeffrey started his journey at a very young age as one of the youngest people ever to be certified as a practitioner of Neuro-Linguistic Programming at the age of 15. People from all over the world including self-help gurus like John Assaraf have been tapping Jeffrey’s brilliance for decades due to his science-based approach for rewiring the brain. He’s been on multiple TV and Radio shows and featured at TEDx and now he has taken his frequency-based technology to the next level. Jeffrey is published author, speaker an, coach and has appeared on many local and national TV and radio shows. Having created over one hundred acclaimed programs, for corporations, government agencies and mass market, it’s no surprise that Jeffrey is considered by today’s top thought leaders as the number one creator and innovator of brainwave stimulation technology. I have already recommended this product to others even though they may feel this is not 'their thing'. Meditation on a whole is immensely beneficial and to be able to get the equivalent of an hour's worth of meditation in 7 minutes using the Meditation in Minutes program is fantastic. Plus having a new level every month makes it even more interesting, I look forward every month to the next level (the next video, the next task etc). There is nothing to lose and a lot to gain. And if you feel you are going through a rough time, that things are tough for you right now and you will get this later, I would say you need to get this now. My own efforts to improve my life were not very effective. My life was mostly struggle and sorrows even though that is not what I wanted. This product is very powerful. Since I began using Meditation in Minutes I have noticed increasing love and acceptance for myself and others, greater peace, joy, and contentment, healing for myself and others, more consistent positive thoughts, greater motivation, creative ideas, increased energy, also better sleep and dreams. I am no longer a victim of my past. I have the power to create a happy life and my life keeps on getting better and better. Thank you, Jeffrey! Includes everything in Essentials + These Pro Features. Includes everything in Essentials, Professional and These Elite Features. * Unlimited Use * is defined as personal and private "fair use" of the content. We reserve the right to suspend/ terminates accounts for violations of our fair use policy. If you have any questions about this policy, please contact us through our support desk. No information on this website, videos or presentation has been evaluated by the FDA, or other regulatory bodies . The information presented is not intended to treat, diagnose, cure, or prevent any disease. Consult your physician before undertaking the suggestions in this presentation. Actual results will vary depending upon the individual and how they approach the steps provided. Pleas refer to our "Technology Disclaimer" before using any of our products.